When Facebook started life, it was a social network that enabled us to reach out to friends and stay in touch with family. Today, it serves a very important purpose for businesses, as well as individuals keen to contact loved ones. Businesses can engage with Facebook users and use this social platform as a means of building their client base and raising brand awareness. One of the best ways to use Facebook to your advantage as a business owner is to build what’s called a ‘Facebook page’ and encourage users to like your page, but most users think you can only invite your friends to your Facebook page and whilst this used to be the case there are now ways to invite people to like your page that you are not friends with on Facebook, but how do you go about doing this? If you’re keen to build your Facebook following and create more leads, here’s a useful guide to how to invite people to like your Facebook page. If you use Facebook for social reasons, you’re probably familiar with the steps you have to take to add a new friend. Once you have friends, you can invite them to like your business page. While it can be really useful to have friends like and share your page, especially if you have a large number of contacts, being able to reach out to your contact list exclusively places limitations on your campaign. The good news is that Facebook now allows you to invite people who have interacted with, for example, liked or commented on your post, to like your business page. If you have a public post that is visible to any Facebook user, this means that you could potentially connect with tens, hundreds, thousands, even millions of people just from a single post. The first step to expanding your reach is to add friends and ask your friends to like your business page and then share it with their contacts. Once you start posting content, encourage your followers to interact and engage with the post. When you have a post ready to share, you should choose to share this publicly so that when your friends engage with it their friends may also see the post. If your friends share a post, some of their friends may like it and a domino effect can ensue. You can also share public posts to everyone and promote your content by using Facebook Ads to get more likes and shares. Once people have liked your post, go to your page and look at one of your recent posts, under the post content you will see a list of names who have liked your post, go ahead and click on this link. 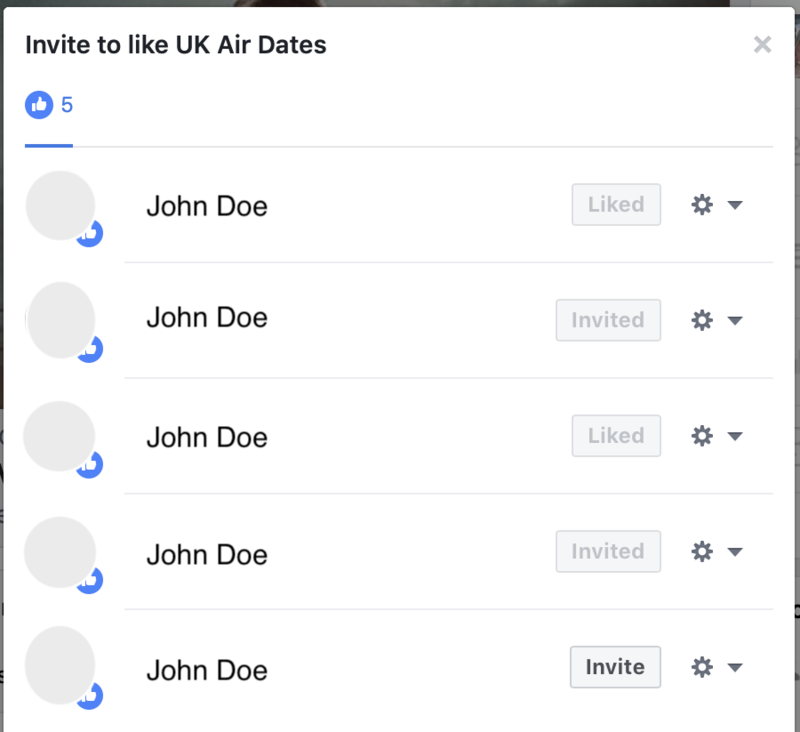 Facebook will then present you with a window that contains a list of names, and anyone who doesn’t already like your page will have an ‘invite’ button next to their name. If you click this button, an invitation to like your page will be sent to that individual. Inviting people who have liked your post, even though they are not your friends on Facebook. It’s very common for people who have taken the time to read a post, watch a video clip or look at an image to like the page afterwards, and this form of networking can help you increase your follower numbers significantly. Many people use Facebook to contact friends and family and keep in touch with old colleagues or people they went to school, college or university with. It’s worth bearing this in mind when you think about Facebook as an advertising platform. People like to hear about new business ventures or special offers, but they don’t want to be bombarded with adverts that aren’t relevant to them or have their newsfeed filled with posts on a constant basis. If you’re promoting a post from your page through Facebook’s advertising tools, take full advantage of the popularity of the post. All the people that have liked the post you paid for advertising for may not have liked your Facebook page but using the advice above you can easily follow up with manual invites to get them to like your Facebook page at no cost. Facebook is the world’s largest social network with over 1 billion regular users. If you have a business, and your company has a Facebook page, you can use this platform to tell people all about your products and services and invite them to events, for example, but you can also use the power of virtual word of mouth to build your client base. Now, it’s possible to engage with people who express a level of interest in a post you’ve shared, and this opens up amazing opportunities to extend your reach, and hopefully, create more leads. The more people that like your page, the greater the chance of converting leads and boosting your profile and your profits. You can pay to promote pages, but if you go about sharing posts and building your following in the right way and you follow up comments, likes, and shares with invitations, you might find that you can grow your network of friends effectively without paying. It takes 2 seconds to like a post and then like a page after receiving a notification, and this is a really simple means of attracting new customers and engaging with a wider audience. A single viral post has the potential to increase your page’s follower numbers significantly.